Samsung's gearing up for the launch of its latest smartwatch by releasing its SDK ahead of the official reveal, which it has never done before. Devs might need some extra time to prep their applications for its release you see, since the newest Galaxy Gear will most likely have a rounded watch face unlike its older siblings' rectangular ones. 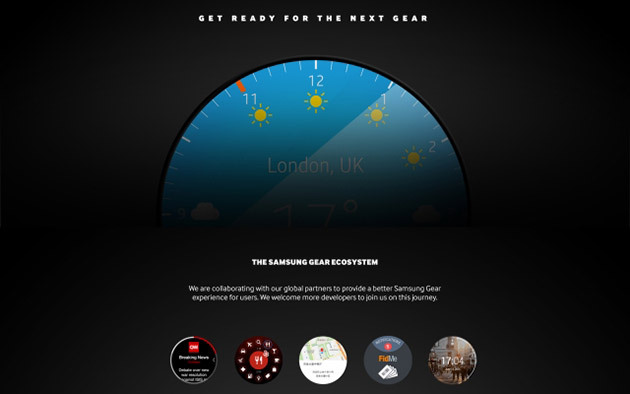 The press release announcing the SDK, spotted by Android Central, came a with a circle weather watch face graphic, along with a few images of rounded apps (CNN, Yelp and more). Sadly, there were no hints in the PR indicating when the new device will be launched. But if you're really hankering for a rounded smartwatch, there's already a few out on the market, including the Moto 360 and the LG G Watch R.
You likely won't be able to repair the Apple Watch on your own -- shocking, we know. The gadget eviscerators over at iFixit put the Apple Watch under the knife today, just as people who've preordered the Watch have begun receiving their shipments. 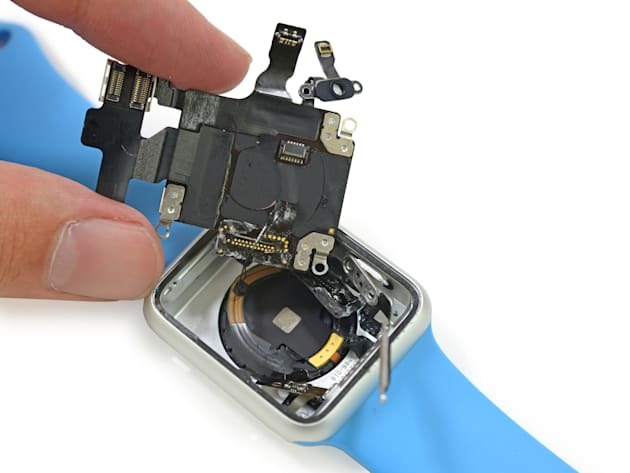 After a complete dissection, iFixit ended up giving the Apple Watch a repairability score of five out of 10 -- making it something you likely wouldn't want to mess with. Removing the screen was "difficult, but not impossible," iFixit said, and once you've dealt with that the battery is "quite easy to remove." But anything beyond the battery, including the Taptic Engine and Apple's S1 chip, is pretty much out of bounds. Basically, if you're getting an Apple Watch, consider an Apple Care plan, or be ready to pay hefty fees in case anything goes wrong. Apple is sending out invites to random registered developers, giving them the chance to buy an Apple Watch with guaranteed delivery by the end of the month. "Special Opportunity for an Expedited Apple Watch Order," the invite email states. "We want to help give Apple developers the opportunity to test their WatchKit apps on Apple Watch as soon as it is available. You have the chance to purchase one (1) Apple Watch Sport with 42mm Silver Aluminum Case and Blue Sport Band that's guaranteed to ship by April 28, 2015.
iTunes users who still run Windows XP started to experience connectivity issues this week. As documented in an Apple Support Communities thread, they can't log into the iTunes store, meaning functions like buying content, watching already purchased movies and TV shows, playing DRM-protected content, backing up, updating, and syncing all do not work. A recently disclosed flaw in iOS 8 dubbed "No iOS Zone" allows an attacker to create a WiFi hot spot that will cause iOS devices to become unstable, crash, and reboot, even when in offline mode. Adi Sharabani and Yair Amit of Skycure are working with Apple for a fix; but, for now, the only workaround is to simply not be in range of such a malicious network. According to analytics service SourceDNA, nearly 1,500 iPhone and iPad apps currently available in the App Store include a bug that breaks HTTPS. This could leave users' sensitive personal information exposed to hackers. Analysts have identified an out-of-date version of open-source code library AFNetworking as the source of the vulnerability. The library itself has already been patched, however, many apps are still using the older, insecure version. "We tested the app on a real device and, unexpectedly, we found that all the SSL traffic could be regularly intercepted through a proxy like Burp without any intervention," researchers Simone Bovi and Mauro Gentile wrote in March. It can't have escaped your attention that security experts have declared open seasonon Apple products over the last few weeks. At San Francisco's RSA conference, an even more terrifying exploit has been revealed that has the power to send your iPhone or iPad into a perpetual restart loop. Mobile security firm Skycure has discovered that iOS 8 has an innate vulnerability to SSL certificates that, when combined with another WiFi exploit, gives malicious types the ability to create "no iOS zones" that can render your smartphones and tablets unusable. Before you read on, grab a roll of tinfoil and start making a new case for your iPhone. You've likely heard or read that Apple's debut wearable isn't going to be sold quite like the company's previous products. Whether it's about where the demand for the product is coming from (or where Apple hopes the demand will come from), there will be no in-store purchases when the Watch finally lands this Friday. Well, not in Apple's stores. You might have reserved (past tense there) a Watch online, and made an appointment for a fitting of sorts, but there will actually be some places where you'll be able to pick one up, cash-in-hand, tomorrow. By some we mean a few. And by few we mean precisely six fashion stores. Scattered across the world. If you just snapped up a Galaxy S6 or S6 Edge, it won't be too long until you can get your hands on Samsung's new Gear VR headset. Samsung just announced that the revamped Gear VR will be available for pre-order on April 24 on Best Buy's website. There's no word on how much it'll cost you, but hopefully it'll be somewhere around the original Gear VR's $200 price. If pre-ordering isn't your thing, you can pick it up from Samsung's online store and Best Buy's site on May 8, as well as its retail stores on May 15. And yes, you'll also be able to try it on at some Best Buy locations. While the Gear VR didn't impress us as much as HTC's Vive virtual reality headset, it's still an improvement over its predecessor, with a lighter frame and higher amount of pixels per inch (due to the S6's slightly sharper screen). 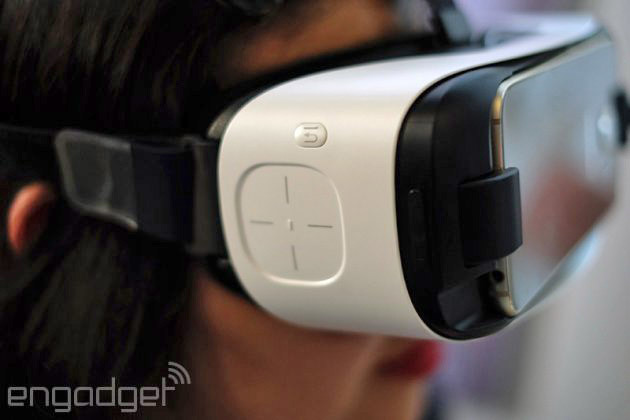 It's not exactly a reason to pick up a Galaxy S6 or S6 Edge yet, but that could change over the next year as Samsung adds more VR content. Desktop, laptop, tablet, phone and (now) watch. That's a list of things you can DJ (or rather, djay) on, thanks to a multi-platform update to the eponymous(ish) app from Algoriddim. 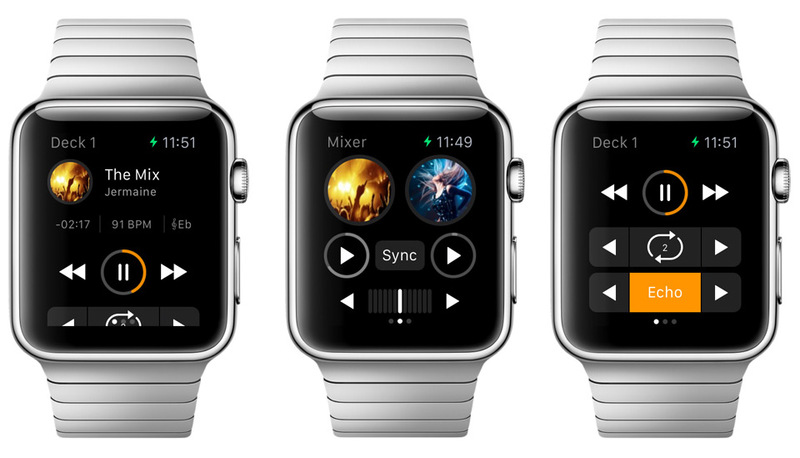 As Apple Watch (kinda) hits stores this week, you'll be able to update Djay 2 for iOS (the Watch version isn't a standalone app) so that it works with your new timepiece. Of course, features are stripped back, but you can do most things you need to keep the music flowing, such as browse your iTunes library, add and sync tunes to a "deck" or use Force Touch and have the software do it all for you (aka "Automix" mode). It's a tough life for the wearable DJ. If you prefer to mix on the other devices we listed, Algoriddim has updates for you, too. For years, there have been rumblings that Google was looking to get into the carrier business, but it took until yesterday for the search giant to finally reveal what it's been working on. 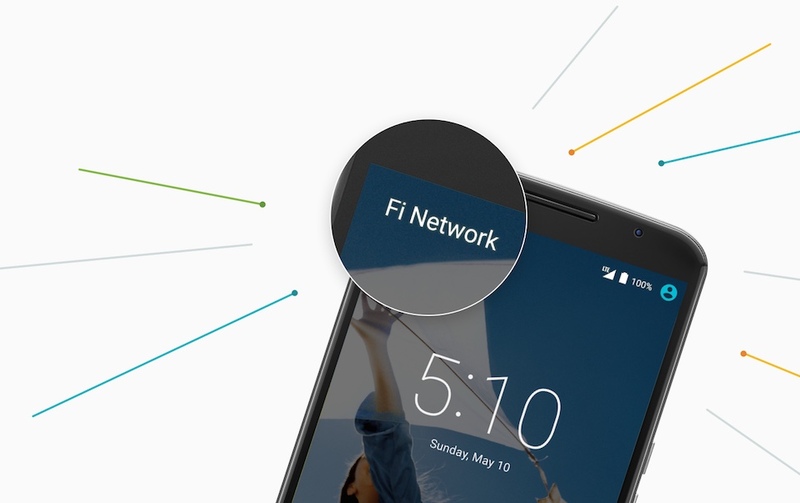 It's called Project Fi, and it's a unique new service that bears little resemblance to the traditional operator model. To provide mobile coverage, Google will be piggybacking on the networks of T-Mobile and Sprint -- two of America's largest carriers -- and using millions of pre-vetted WiFi hotspots. Throw in unlimited free international texting, WiFi tethering and data coverage in over 120 countries, and you've got something genuinely exciting -- if you live in the US and own a Nexus 6, at least. You see, if you hail from the UK, what Google's offering just isn't that innovative. Perks that may make waves over the pond are pretty commonplace here, and are fast becoming standard competitive procedure. 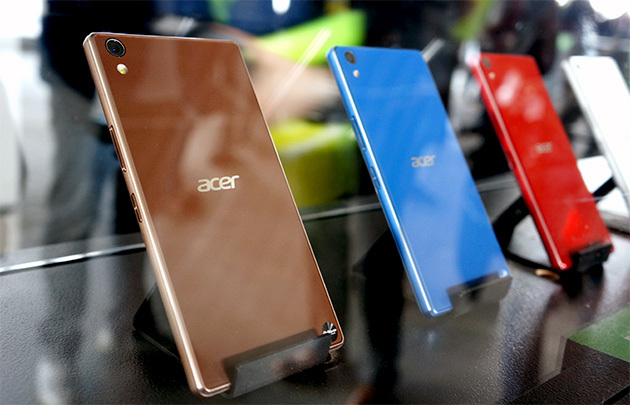 Sure, you probably don't need a smartphone with a massive 4,000mAh battery and a trio of SIM card slots, but thanks to Acer, your author can't stop thinking about one. Acer's so-called Liquid X2 is clearly well-equipped to play globetrotter, but (just likethe Predator tablet) the company's spokespeople were awfully light on the details. Still, we know it comes with a 5.5-inch screen and a 64-bit octa-core processor thrumming away within its surprisingly sleek frame, along with a pair of 13-megapixel cameras nestled high along its face and back. At last, a device that takes selfies as seriously as HTC's Desire Eye. 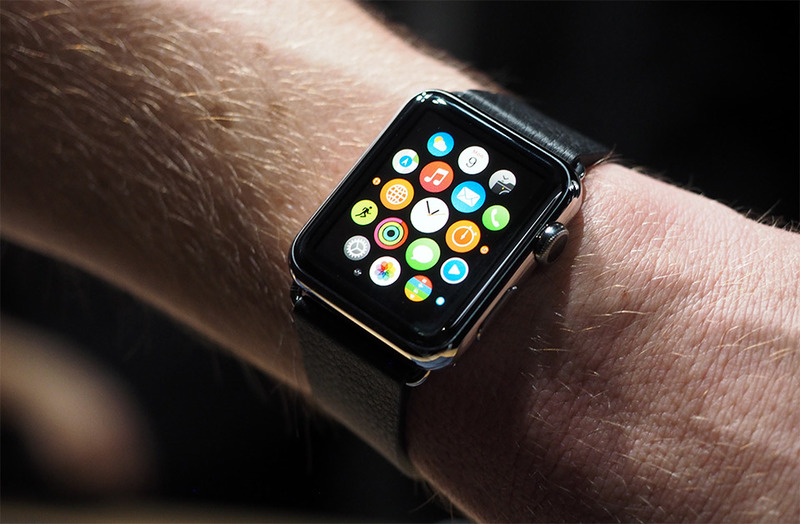 If you've already ordered Apple's smartwatch, it should arrive sometime in the next few weeks. To prep for that delivery, the App Store's selection of Watch-specific appsis available for browsing on the web or with that trusty iOS device. The Wall Street Journal reports that over 3,000 software options now reside in iTunes, ready to outfit the wearable with tools for keeping tabs on scores, fitness data, news, social channels, payments and more. Of course, if you haven't secured one yet, you won't be able to nab the gadget at your local retail store tomorrow, so you'll have to wait until it arrives by mail. EA has released an update to the iOS version of FIFA 15 to support the upcoming Apple Watch. 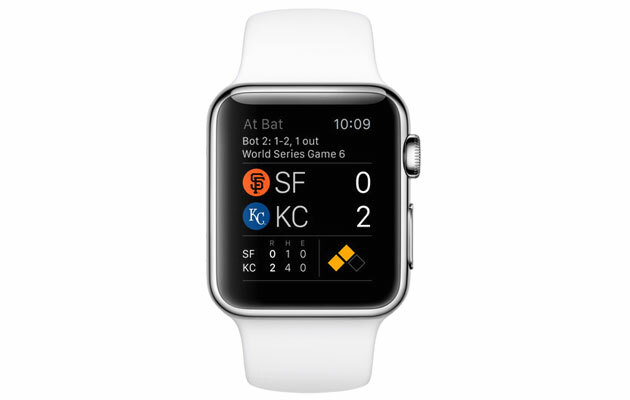 Pocket Gamer reports that the Watch app allows players to receive game notifications direct to their wrist. There will also be some limited game functionality, such as conducting player transfers. The Watch update has also brought with it a few changes to the core game. It can now automatically select your strongest starting line-up and inform you if you’re neglecting a potentially strong replacement on your bench. Simulation mode has received some changes, too, with any custom content a player has unlocked being more readily reflected. The game’s many tutorials are now quicker to access, too. The Apple Watch will be released this Friday (April 24th). It’s not clear what the availability will be like on the High Street, and Apple is online now saying that any orders placed for the device now won’t be shipped until the summer. 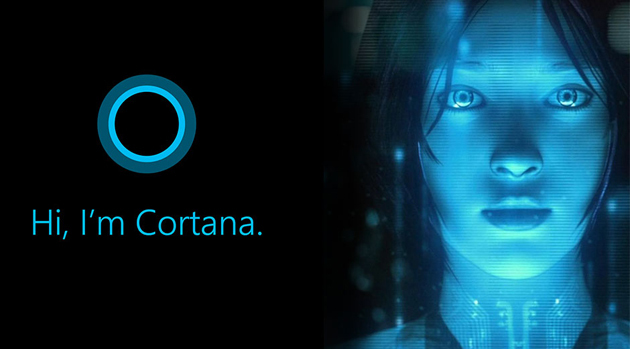 Microsoft is already poised to bring Windows' Cortana voice assistant to other platforms, but the duo behind the OrangeSec team isn't willing to wait that long. 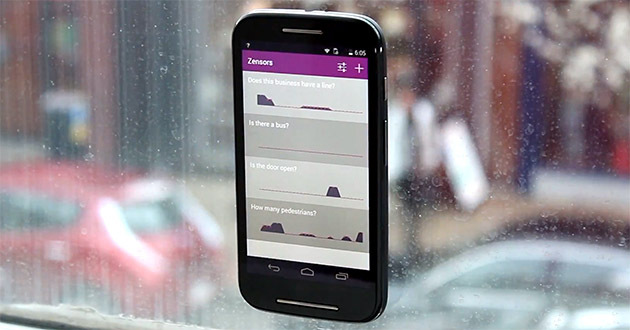 They've developed and shown off Portaña, a simple Android adaptation of Cortana that uses a proxy to talk to Microsoft's servers. While it's nowhere near a complete recreation of the official software (you have to speak in Italian, for one thing), it does work -- you can ask a question and expect an answer back. Portaña is sadly likely to remain in a rough state as is, though, so you'll want to tinker the source code if you just have to speak to the Halo-inspired helper before there's an official solution. There's a new kid on the smartwatch block, which means that Google needs to make sure that its own gear is ready for the challenge. That's why the company is pushing out new features to its Android Wear devices in the coming weeks. The biggest addition is probably WiFi support that'll let you connect to your smartphone even if it isn't in your pocket. Should you, for instance, head out to the coffee shop and leave your phone at home, then you'll still receive notifications as long as both are connected to the internet. Wood and leather are so yesterday. What you really want is some genuine marble on your precious gadgets. 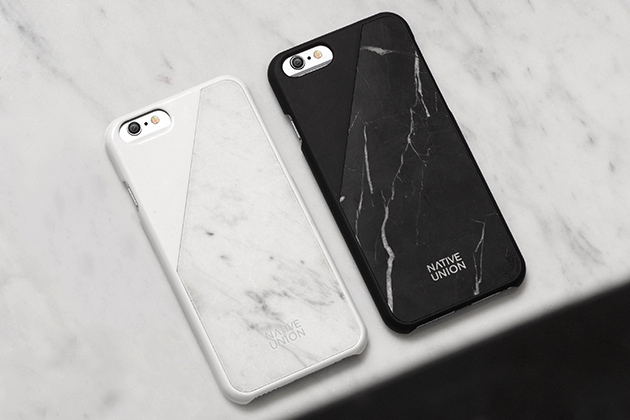 At least that's the pitch from Native Union, which recently announced its Clic Marble iPhone 6 case, available in matte black or glossy white -- the latter consisting of the nice Carrara white marble from Italy. Don't be fooled by its simple look, as the company took a year and a half to figure out how to carefully slice marble at just 0.8mm thick, and then reinforce it with fiberglass to keep it flexible and shatter-resistant. The case does add 2mm of bulk onto your device, and it does ask for $80 in the US or £70 in the UK, but these are the kinds of sacrifices that some are willing to make in return for that cold luxurious feel. 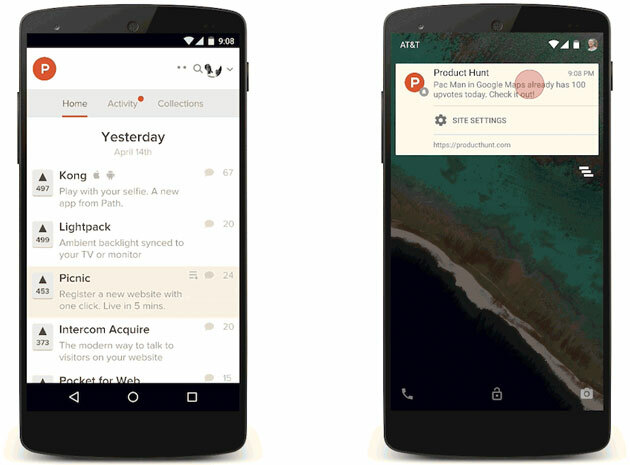 Chrome's website push notifications are no longer confined to your desktop -- they now surface on your phone, too. Grab Chrome 42 for Android and you can opt into alerts from websites that show up no matter what you're doing. You won't have to worry about missing out on breaking news, even if your favorite sites don't have dedicated apps. You'll also have an easier time adding home screen shortcuts for those sites if you always want them close at hand. It'll be a while before many of the sites you frequent can deliver notifications (eBay, Facebook and Pinterest are some of the early adopters), but it's worth upgrading now to get ready.